is associate professor of philosophy and the humanities at Kirkwood Community College in Iowa. His latest book is Seven Ways of Looking at Pointless Suffering: What Philosophy Can Tell Us about the Hardest Mystery of All (2018). 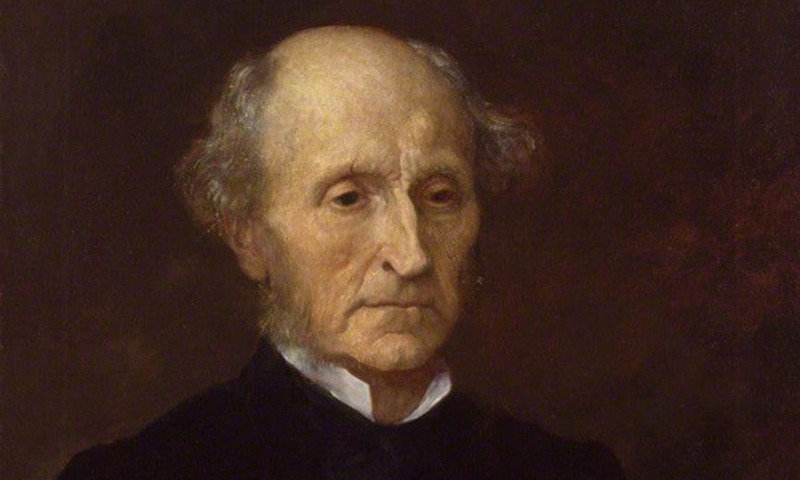 In 1826, at the age of 20, John Stuart Mill sank into a suicidal depression, which was bitterly ironic, because his entire upbringing was governed by the maximisation of happiness. How this philosopher clambered out of the despair generated by an arch-rational philosophy can teach us an important lesson about suffering. Inspired by Jeremy Bentham’s ideals, James Mill’s rigorous tutelage of his son involved useful subjects subordinated to the utilitarian goal of bringing about the greatest good for the greatest number. Music played a small part in the curriculum, as it was sufficiently mathematical – an early ‘Mozart for brain development’. Otherwise, subjects useless to material improvement were excluded. When J S Mill applied to Cambridge at the age of 15, he’d so mastered law, history, philosophy, economics, science and mathematics that they turned him away because their professors didn’t have anything more to teach him. [I]t occurred to me to put the question directly to myself: ‘Suppose that all your objects in life were realised; that all the changes in institutions and opinions which you are looking forward to could be completely effected at this very instant: would this be a great joy and happiness to you?’ And an irrepressible self-consciousness distinctly answered: ‘No!’ At this my heart sank within me: the whole foundation on which my life was constructed fell down. What Mill calls the ‘Religion of Humanity’ involves pushing aside the old conception of God, and taking over responsibility for what happens in the world. We’re to become the good architect that God never was. Redesigning the world hasn’t proven easy. Mill claims that our power to inflict suffering is small next to nature’s: ‘Anarchy and the Reign of Terror are overmatched in injustice, ruin, and death, by a hurricane and a pestilence.’ But that’s hard to maintain after the 20th century. What’s the 1755 Lisbon earthquake compared with Auschwitz? What’s a flu epidemic next to Hiroshima? The potential disasters of global warming or nuclear war show that apocalypse isn’t just the prerogative of God. The problem with our attempt to play God is that it splits us into fixers and problems, marketers and consumers, biotechnicians and patients, entertainers and the entertained, managers and subjects, elites and deplorables, gods and beasts, when we should be workers, doers, caregivers, artists, teachers, students and citizens – roles that involve an openness to risk and vulnerability. The utilitarian take on the problem of evil is half-right. Suffering ultimately outstrips our goals and beliefs. To claim otherwise is heartless. But it’s wrong to think that the problem of evil brushes aside God or the goodness of nature. When we refuse to accept a fundamental dimension of suffering, we suffer worse. There’s an immense mystery at the heart of being human: the paradox of opposing and accepting suffering. To abandon either side of the paradox is the real problem of evil. The best things in life clue us into the mystery. Think of art, which by evoking our tragedies fills us with joy. Think of humour, which by registering our humiliations makes us roar with laughter. Think of forgiveness, which allows us to judge and be judged without destroying our relationships. Think of freedom, which by opening us to error gives our lives weight. Though these mysteries don’t preclude the belief in progress, they don’t subordinate all our energies to it. They might often be useless for material improvement, but their uselessness is extremely useful for a meaningful life. Next, he explored Romantic poetry, which nourished the ecosystem of his inwardness. By adding an affective dimension to his life’s projects, literature revealed a new horizon of value, one drawn by the paradox of suffering. Without goods that explode utilitarianism and open us to the mystery of suffering, even the happiest life is miserable. Seven Ways of Looking at Pointless Suffering by Scott Samuelson is out now via The University of Chicago Press.